If you are based in the UK the electric toothbrush to go for out of the two on test is the Oral-B Pro 2000. If you are based in the US the one to go for is the Oral-B Pro 1000. Which electric toothbrush is better Oral-B Pro 1000 vs 2000? Oral-B aim different models at different markets. The Oral-B Pro 1000 is aimed at the US market. The Oral-B Pro 1000 currently costs $49.94 in the US. In the UK, you will struggle to get an Oral-B Pro 1000 . 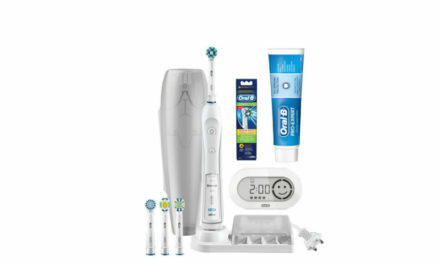 Amazon UK does sell an Oral-B Trizone 1000 for Check on Amazon. Although I do not particularly like the trizone brush head. You could buy a Oral-B Trizone 1000 and use a crossaction brush head however this would cost more than the Oral-B Pro 2000. The Oral-B Pro 2000 is aimed at the UK Market. The Oral-B Pro 2000 costs £35.00 in the UK. In the US, it is almost impossible to buy an Oral-B Pro 2000. If this has not made a clear winner then keep reading. The Oral-B Pro 2000 comes in only light blue. The Oral-B Pro 1000 and 2000 share many of the same components and look similar. They are very functional in design with a large on/off button and a rubberised section on the front of the electric toothbrush handle. Below the on/off button is a battery indicator light. Both the Oral-B Pro 1000 and 2000 are waterproof which if useful if you want to use the electric toothbrush in the shower. Both the Oral-B Pro 1000 and 2000 have a quadpacer 2 minute timer. A quadpacer timer is where the brush head “buzzes” every 30 seconds to indicate when you need to change area of your mouth. It then double buzzes when the 2 minutes are over. Brushing your teeth for 2 minutes twice a day will improve your oral hygiene. The Oral-B Pro 1000 and 2000 have visible pressure sensors that are located on the rear of the electric toothbrush handle. Pressing too firmly with a toothbrush can lead to a type of tooth wear known as toothbrush abrasion. With the Oral-B Pro 1000 and 2000 as soon as you press too firmly there is a red light that comes on and also the electric toothbrush starts to reduce the power of the brushing. This over time will prevent unnecessary tooth wear. 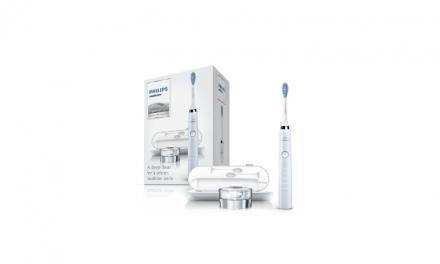 Both the Oral-B Pro 1000 and 2000 use the effective 3D oscillating rotating motion to clean teeth. This motion spins and pulsates up and down to break up the plaque biofilm. The oscillating rotating motion cleans better than a manual toothbrush and also brushes better than it’s nearest competitor the philips sonicare. This is my preferred mechanism of action. The Oral-B Pro 2000 has one more cleaning mode than the Oral-B Pro 1000. The Oral-B Pro 2000 comes as standard with 2 cleaning modes, daily clean mode and gum care mode. Both the Oral-B Pro 1000 and 2000 have daily clean mode. This is the most useful cleaning mode in the Oral-B range. It operates for the dentist recommended 2 minutes and oscillates at 8,800 times and pulsates at 40,000 times per minute. Only features on the Oral-B Pro 2000 is a pulsating cleaning mode that is meant to gently massage the gums. There is very limited evidence behind this and would not recommend using this mode regularly. The Oral-B Pro 1000 and 2000 are both compatible with all the Oral-B Brush heads. They both come as standard with a cross action brush head. This is my favourite brush head because of the small head size and the 16 degree angle of the bristles. The cross action brush head is particularly good at cleaning around the gum margins where plaque tends to harbour. The Oral-B Pro 1000 and 2000 have a short 28 minute battery life. This is one of the downfalls of going for a cheap electric toothbrush. 28 minutes of brushing translates into a week of brushing two minutes twice a day. This is not terrible however it is noticeable when using the Oral-B Pro 1000 and 2000 on a daily basis. The Oral-B Pro 2000 charges faster than the Oral-B Pro 1000. This is in part due to the higher voltage used in the UK which is 240 volts compared to 120 volts used in the United states. The Oral-B Pro 2000 takes 17 hours to charge from flat and the Oral-B Pro 1000 takes 22 hours. This is a fairly substantial amount of time as leaving it to charge overnight will not bring it to full charge. Both the Oral-B Pro 2000 and 1000 will need 2 pin shaving plugs in your bathroom. If you do not have this you will need to buy a 2 pin to 3 pin adaptor like below. The Oral-B Pro 1000 and 2000 both weigh in at 125 grams without a brush head. This is very light and easily portable enough to fit into hand luggage or a suitcase. Unfortunately neither the Oral-B Pro 1000 or 2000 come with a travel case. This means that when travelling you will need to wrap the electric toothbrush handle with clothes to keep it safe. 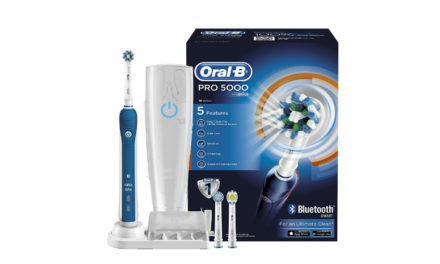 The Oral-B Pro 1000 currently costs $49.94 on Amazon.com. The Oral-B Pro 2000 currently costs £35.00 on Amazon.co.uk. 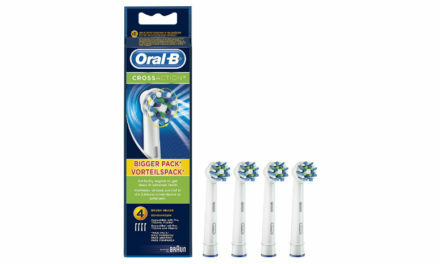 Both the Oral-B Pro 1000 and 2000 represent great value for money in their respective markets. 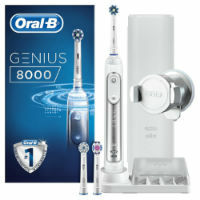 The electric toothbrushes come with a 2 year warranty which can be extended to 3 years by visiting the Oral-B website. Running costs for the Oral-B Pro 1000 and 2000 is also cheap because of the cheap cost of the Oral-B Brush heads. A cross action brush head costs around £3 per brush head. Since good quality brush heads last around 3 months, this gives a running cost of £1 a month which is cheap. The answer is both. 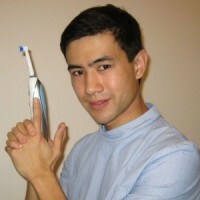 If you are based in the US the best electric toothbrush for you to go for is the Oral-B Pro 1000. If you are in the UK the one to go for is the Oral-B Pro 2000. They are both strong contenders in their own right and both are excellent budget range electric toothbrushes.